The success of the Tide-Minnow Slim 175 has prompted our designers to go one step further. Merely scaling up the size would adversely affect the lure’s performance, so we went back to the drawing board and designed the 200mm model from scratch. A new tapered body cross-section and a tightened head and tail reduces the strain on the angler. 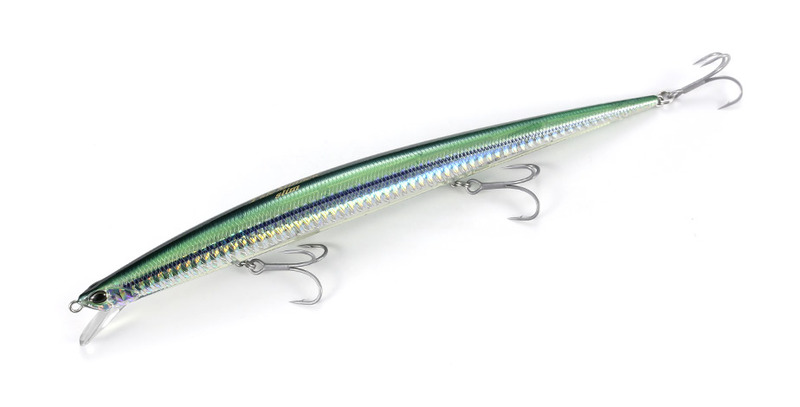 The Tide-Minnow Slim 200 is a minnow with almost limitless potential. Try it in the field and we bet you will be impressed! Compared with the TMS175, which has a wider, more pronounced wobbling action, the TMS200 has a tighter and more toned down ‘wobble & roll’. 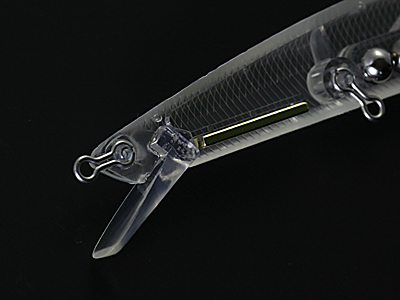 The swimming depth of this lure is set at 40~80cm; this is shallower than the TMS175. For optimal results, we recommend that the angler choose between the TMS175 and the 200 according to the particular situation. 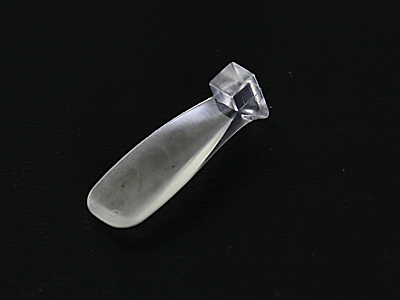 Although the body weight is almost the same as the TMS175, the longer and thinner body has more air resistance resulting in the lure to tend to lose balance. In order to consistently be able to cast this lure accurately, it will need some getting used to. The trick is to hang the lure from the tip of the rod lower than usual and initiate casting once you have all the weight of the lure on the rod. It would be recommended to have a rod stronger than a medium class rod. 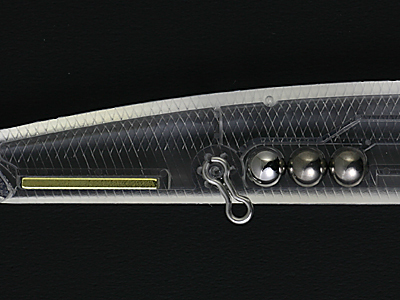 There is a fixed weight in the front section and 2 tungsten,1 steel spheres used as its moving weight. By giving the lure a lower center of gravity, it has resulted in better action and given it more stability when in flight. 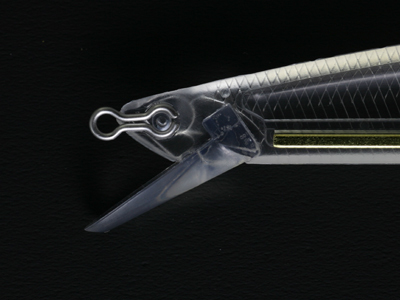 Relative to the other lures, the lip is longer and angled closer to the body. 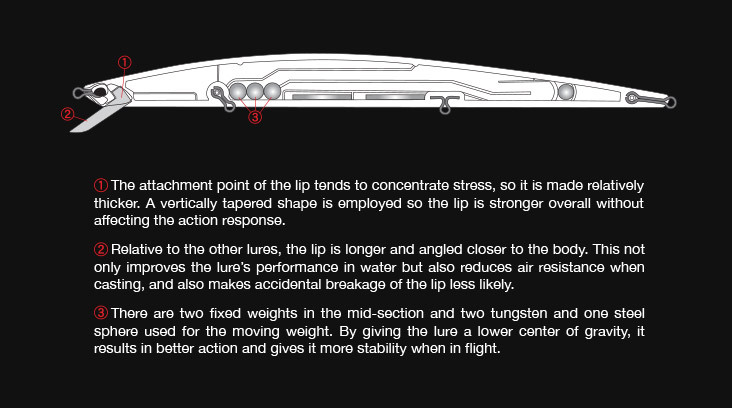 This has not only improved the lure’s performance in water but also reduced air resistance when casting, and made accidental breakage of the lip less likely. The attachment point of the lip tends to concentrate stress, so it is made relatively thicker. A vertically tapered shape is employed so the lip is stronger overall without affecting the action response.